Thammasat Gen Next Education 2018: the university transformation is not only the teaching technique but it is also about Grooming Next-Generation Leaders. 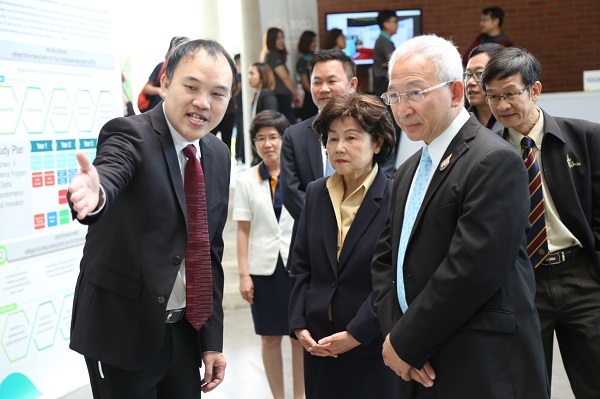 Thammasat University is adjusting itself to the rapidly changing world and the need of the new kind of learners by initiating “Thammasat Gen Next Academy”. The Academy is built on the Massive Open Online Course (MOOC) format which combines technology and new teaching methods. It aims to deliver 40 courses each year to accommodate the 24/7 accessibility. In the future, the Academy will provide courses for not only Thammasat students but also high school students, people in working age and the retired. In this respect, they can brush up their existing knowledge and simultaneously learn something new through both online and classroom-based platform. Moreover, the certificate will be awarded in accordance with the requirement of each curriculum.